So, whatever inspires you from this photo is what we are looking for. And, was chosen by our fabulous teammate, Lorraine, also known as LOLS. and that Ray is recovering nicely! I covered a white gift bag from the dollar store with paper from Michael's Reflection Collection. and topped with a swirly frosting cutout of glitter paper. I used a copic marker to make the lines of the swirls and to ink around the edges. The sweet bear getting ready for the party tag is a Gruffie, and the mice who got into the cupcake is House Mouse Designs. We are welcoming two new guest design team gals for the month of March, Suzi and Jane. 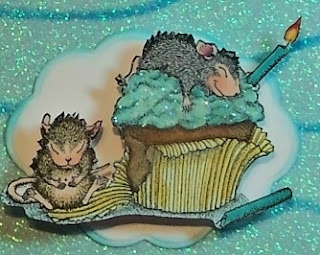 House Mouse and Friends Monday Challenge blog site, go take a look, and then ink up those House Mouse, Gruffies, or Happy Hopper stamps and join us for this photo inspiration challenge. Can't wait to visit and see what you came up with! This challenge runs through Saturday, March 24th 12 midnight, EST. WOW, Sue, what a fabulous gift bag and tag. You amaze me every time I visit your blog. Everything about this card is outstanding fro the way you made the cupcake to your coloring on your little creatures and I loved how you inserted your "scene" into the cupcake. Can I come to that party so I can get one of those bags - Please? *** Have a fabulous day. Love your take on the inspiration photo. Wonderful creation. Gorgeous colours and image, beautiful colouring too. ooooo that looks delicious and great sue. Beautiful details on your giftbag. Sweet images and I love all the sparkling. Hey, Sue! Love this gift bag and tag! Very sparkly and cute! Hope you are having a good week, it is getting Springy here like your daffodils on your page! all the sparkles and the wonderful tag. Fabulous work! This is super sparkly goodness. Your cupcake is awesome so creative. Love the tag to match. 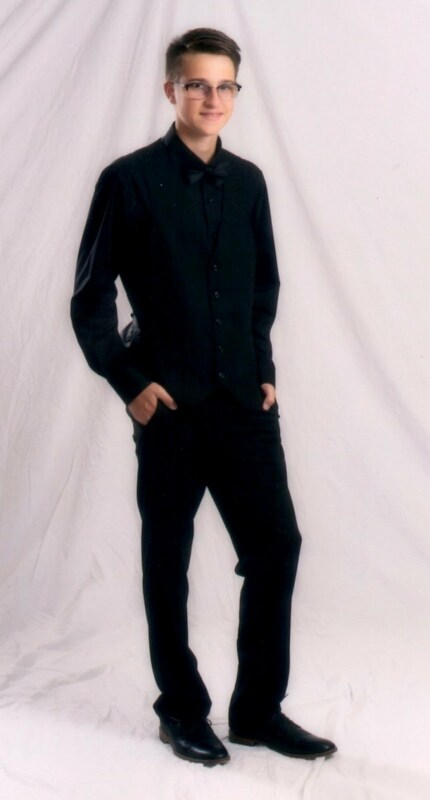 Fabulously done. 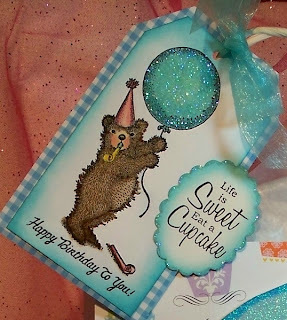 Sue, this is super cute and you are super creative with the gift bag and tag. Your coloring is fabulous and attention to detail is superb! This is sensational - what a fantastic gift bag and a beautiful tag. The papers are gorgeous and tour colouring and sparkling is stunning!!!! Oh my word!!! 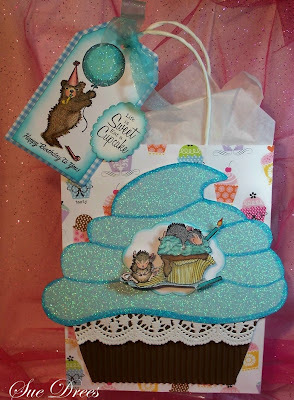 how gorgeous is this sweet gift bag and tag. I love all the sparkle, your colouring and the vibrant colours. I am so thrilled to be a Guest this month amid such talented ladies..